What data should be tracked for change? What are the true moments that matter for change that show its benefits and goals? 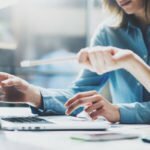 If you are faced with any of the above challenges, we suggest two measurement concepts to get your change outcome data collection on the right track. When measuring the impact of organizational change do you measure what matters? Do your change metrics align and/or are in support of overall business benefits/ROI? If you, as a leader, struggle to connect your change metrics to overall business benefits/ROI, your organization and project leaders will as well. This contributes to the fuzziness that many organization and project leaders often have about the value of change management. The organization says they need change management; however, the business case is never proven. Change becomes communication, training and that “soft stuff” that someone needs to do. How do you address this in the project efforts you are leading? When measuring the outcome of organizational change is your organization truly measuring how people adapt to change? Is change adaptation viewed as a process or as a single point in time measurement? Does your organization consider and measure change adaptation based on business capability or project delivery(ies)? Adapting to change at the individual level includes the process of adoption (using the change), becoming proficient with the change (gaining speed and quality) and sustaining the change (business as usual). Themes critical to moving people along this process includes manager priority, support for the change and measuring the critical behavior(s). Measuring along this process allows for optimization of what is working well and course correction while the change is still taking root. When thinking about adapting to change at the individual level it is important to consider the business capability view. This view takes into account the collective change (change that is recently implemented as well as change that is in the adoption, proficiency and sustainment process) that an individual business role or function is faced with versus the project-centric view that we as leaders mostly deal in. This view helps illustrate potential for change saturation as well as helping to highlight potential cause and effect between projects. For example, why an effort seems to be taking longer to sustain for a certain business role faced with more collective change than other business roles. Measuring change outcomes can be complex but is necessary to prove organizational change as the strategic business advantage it is. Start with these two measurement concepts and put the way your organization measures change on the right track. 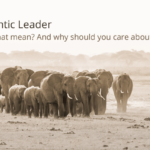 An Authentic Leader: What does that mean? And why should you care about being one?